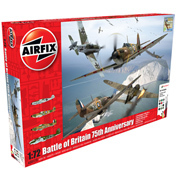 During the summer and autumn months of 1940, the German Air Force raged battle in the skies over Great Britain trying to outwit and outfight the RAF with a series of sustained aerial bombings over UK airspace. 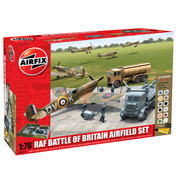 Churchill himself gave name to this significant time in history by saying that the ‘battle of France is over and the Battle of Britain is about to begin’. Since that speech it has become the tag name for this prolonged air campaign by the Luftwaffe. 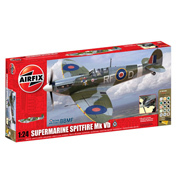 A battle of both air forces began leading to recognisable aerial displays of valour from the RAF using the fighter planes the Hurricane MkI and the Spitfire Mk1 (operated by 266 and 603 squadrons). 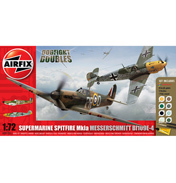 These were pitched against the German fighters the Messerschmitt Bf 109E and Bf 110c. Marginal differences in both sides’ plane capabilities meant that the battle of fighters came down to pure tactics and a little bit of luck. 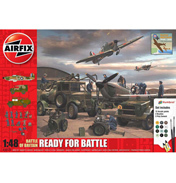 Bombers on the German side included the Heinkel He 111 which is demonstrated beautifully in Airfix’s gift set dedicated to the Battle of Britain along with the above three most recognisable planes. Other German bombers included the Junkers Ju 88 and Dornier Do 17 as well as the Junkers Ju 87 Stuka and 88, thankfully all three types suffered heavily with aircraft losses. 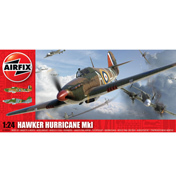 On the allies side bombers such as the Bristol Blenheim, and Handley-Page Hampden were used. 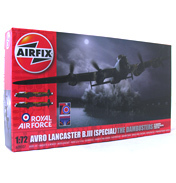 Plus the Avro Lancaster, ‘The Lanc’ in more affectionate terms, was used during the night-time as a bomber in the main, although also operated as a precision day time bomber too (what’s more it was known as one of the Dam Busters). The Germans focussed on destroying RAF infrastructure as well as key targets in ports and coastal shipping, together with factories and other key infrastructure locations and then resorted to terror tactics on British cities. Its aim being to force Britain into surrender. However their strategies failed and the RAF and allies were superior in the air and Germany eventually suffered a major defeat. 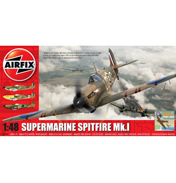 All of these key aircraft can be recreated using one of Airfix’s scale model kits and they also have a Battle of Britain Airfield Set with Spitfire, Refueling station and RAF personnel to give your model landscapes extra content. BBMF or to give it its full title the Battle of Britain Memorial Flight is a famous flyover operated by the Royal Air Force No 1 Group to celebrate this time in history. 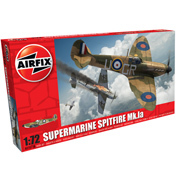 It consists of a flight of the historic collection of a Lancaster (one of only 2 airworthy remaining), a Spitfire (one of which used is the oldest and last remaining from this battle) and a Hurricane (two of which are available, one being the last one to enter RAF service). 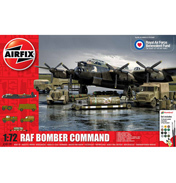 Originally the historic flight was just the Spitfire and Hurricane, and was called the Historic Aircraft Flight however this changed into the flight we know today back in 1973 when the Lancaster was acquired and brought into the flight sequence. Together they are seen often at momentous occasions and other commemorative events such as the recent Royal Wedding of Prince William and Catherine Middleton, the now Duke and Duchess of Cambridge. 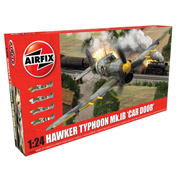 And Airfix have this element covered too in a set dedicated especially to this flight for you to recreate at home. 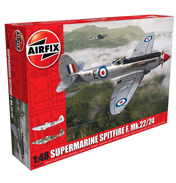 All in all key pieces to have in your Airfix collection.